1. In which layers of the OSI model does content networking reside? Answer: Content networking devices technically work at Layers 17, but true content networking services can be considered to reside in Layers 57 of the OSI model. 2. What are the four main purposes and goals of content networking? Perform scalability and availability services for applications. Increase available network bandwidth and decrease application response times. Provide customization and prioritization of content within your network. Enable security, auditing, and management of a network. 3. Estimate how many servers are required to provide “four nines of availability” for an application known to fail 11.5 percent of the time? 4. What is the difference between application scalability and availability? Answer: Application availability requires replication to ensure data recovery, whereas scalability simply increases the capacity of a system. 5. How are bandwidth and response times reduced in a content network? Answer: Bandwidth and response times are reduced by placing content in closer proximity to requesting clients. 6. What is the main difference between an ICDN and an ECDN? Answer: An ICDN is owned and operated by a third-party provider and often requires content-based billing software to track and charge for customer bandwidth and content usage. An ECDN is often owned, operated, and used by the same organization, and therefore no usage billing is required. 7. Name four scenarios in which content can be switched. Answer: Content can be switched in the following four ways: SLB, Global SLB, FWLB, and VPN load balancing. 8. Name four solutions that Cisco ACNS can provide. Answer: Cisco ACNS can provide the following four solutions: point-of-sale videos and Web kiosks, software and file distribution, e-learning, and corporate communications. 9. How many wire pairs does 100BASE-T use of a UTP copper cable? How many does 1000BASE-T use? Answer: The 100BASE-T standard uses two pairs (four wires in total), one pair for transmitting and another for receiving. The 1000BASE-T standard uses all four pairs (eight wires in total) of the UTP cable. Using echo cancellation, each pair is capable of transmitting and receiving simultaneously. 10. What are the physical differences between step and graded index multimode fiber? Answer: Step index multimode fiber has the same physical fiber properties throughout the core, which results in a sudden reflective “step” into the fiber cladding. In contrast, variations are imposed in the composition of graded index glass in the core, which results in a gradual increase in refraction toward the center of the core. 11. For 100BASE-FX, why is NRZ-I signaling used with 4B/5B encoding and not just straight NRZ? Answer: In Table 2-3, quite a few of the 5-bit codes have more ones than zeros. The reason that 100BASE-FX uses NRZ-I with 4B/5B is that more transitions are performed during long strings of ones using NRZ-I than with straight NRZ. 12. What error checking is performed with IP, UDP, and TCP? Answer: IP checks for errors in the IP packet only. UDP and TCP check for errors in the UDP header and segment payload, but only TCP re transmits erroneous segments. 13. What is the purpose of the TCP three-way handshake? Answer: The TCP three-way handshake is used to synchronise TCP sequence numbers and exchange TCP options between TCP devices. 14. How is packet loss detected by TCP senders? Answer: Outstanding segments are detected by the sender with either a timeout or by receiving duplicate ACKs from the receiver. 15. Why is TCP bandwidth limited over satellite links? How can TCP bandwidth over satellite be accelerated? Answer: The TCP window size limits bandwidth over satellite connections due to high latency. Use of multiple TCP connections or the window scaling option (WSopt) or both are ways to accelerate the TCP bandwidth over satellite links. 16. What is the lowest level of content awareness in TCP/IP? Answer: The TCP urgent pointer is the lowest level of content awareness of the TCP/IP protocol suite. 17. How are MAC address tables built in Layer 2 switches? Answer: Layer 2 switches build MAC address tables by inspecting ARP traffic flowing across the switch. 18. Do Layer 3 switches maintain an ARP cache or a MAC address table? Answer: Layer 3 switches maintain both an ARP cache and a MAC address forwarding table. The MAC forwarding table is used to forward frames between ports within a single VLAN, and the ARP cache is used to route frames between VLANs. 19. What is the purpose of VTP? Answer: VTP saves time configuring VLANs and saves NVRAM space in large network environments. The network administrator needs only to add VLANs to the VTP server before assigning VLANs to switch ports across the entire network. VTP is also used to give VLANs human-readable names. 20. What is the difference between distance-vector and links-state dynamic routing protocols? Answer: Distance-vector algorithms send periodic routing updates and use hop count metrics. Link-state algorithms send triggered updates when changes occur and use metrics based on the state of the links (that is, based on the bandwidth, delay, reliability, load, and MTU of the link). 21. What is a RIB? Give a few examples of protocols that use RIBs. 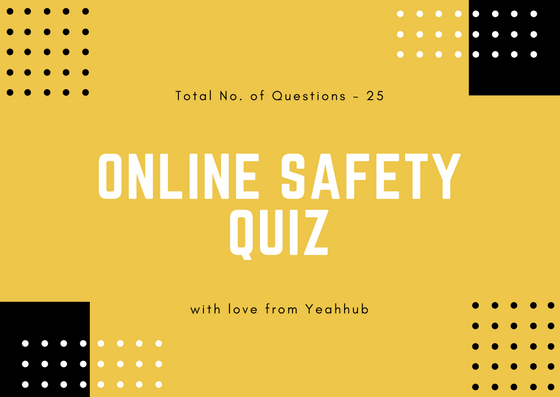 Answer: The routing information base stores routing information learned by link-state and hybrid-dynamic routing protocols. The best RIB routes are installed in the main routing table. OSPF, EIGRP, and BGP routing protocols maintain their own RIBs. 22. What is a FIB? Give a few examples of switching paths that use FIBs. Answer: A forwarding information base is efficient data structure containing forwarding information used by routers to bypass slow(er) routing tables and ARP cache lookups. Examples of switching paths that use RIBs are fast and CEF switching. Process switching does not use a RIB. 23. What form of NAT do content switches use to load balancing requests across server farms? Answer: Destination NAT is used by content switches to perform server load balancing. 24. What is the difference between stateful and stateless ACLs? Answer: Stateful ACLs track transport state information, such as IP addresses, TCP/UDP ports, TCP sequence numbers, and TCP flags. Stateful ACLs do not track any transport information. 25. How do stateful ACLs track transport state information? Answer: Basic ACLs track transport state simply by checking to see if the ACK or RST TCP flags are set in the TCP header. IP session filters create temporary ACL entries for return traffic. CBAC and PIX firewalls store transport state information for each connection in a state table. The table includes IP addresses, TCP/UDP ports, TCP sequence numbers, and TCP flags. 26. How can you approximate UDP connections? Answer: You can approximate UDP connections by tracking packets with the same source and destination IP addresses and ports that transit the firewall over the same time frame. 27. How can you achieve supervisor redundancy? Answer: Supervisor redundancy is achieved by installing two supervisors in a single chassis, or by using two chassis with a single supervisor installed in each. 28. How can you achieve switch fabric redundancy? Answer: For active backplanes, two chassis are required for redundancy. For passive backplanes (that is, SFMs or integrated switch fabrics), either two modules in a single chassis or two chassis with a single module each are required for redundancy. 29. What is one benefit of sandwiching public servers between two firewalls? Answer: Both single and dual firewall configurations secure internal resources from the public resources. However, server sandwiching enables firewalls of different vendors to secure internal resources. 30. What content networking solutions do remote branch users benefit from? Answer: Remote office users benefit from content edge delivery, distribution, and routing in order to place content closer to the client.